Publisher: Warner Bros. ​Developer: Monolith Productions. With the eighth gen out of its first year, we’re starting to see the potential power of the new consoles. Shadow of Mordor is an exciting demonstration, utilising the new technology to add some exciting changes to the sandbox formula. It’s all about the nemesis system: a dynamic way of generating a constant stream of individual enemies in a world brimming with activity. And while some may turn their nose up at Mordor’s sometimes derivative gameplay, the innovations it brings overshadow these quibbles, making this a must own for next-gen gamers. 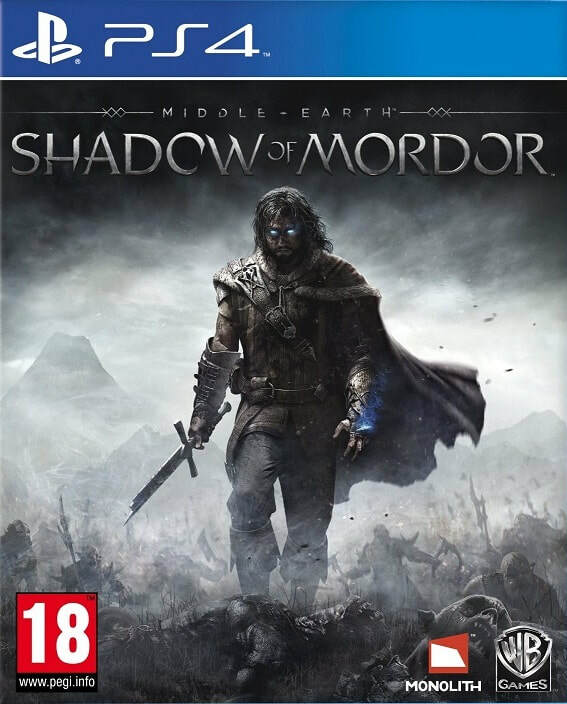 A tale of vengeance, Shadow of Mordor takes place between The Hobbit and The Lord of the Rings. 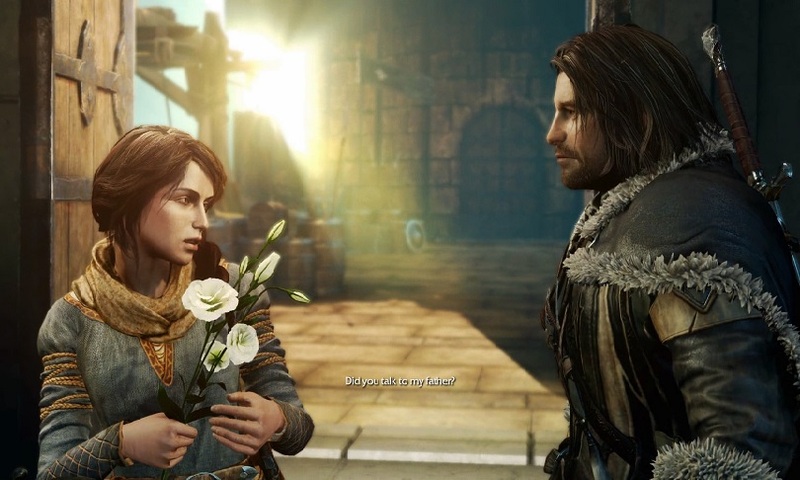 You take the role of Talion, a ranger captain who is slaughtered, along with his family, by an invading dark army. 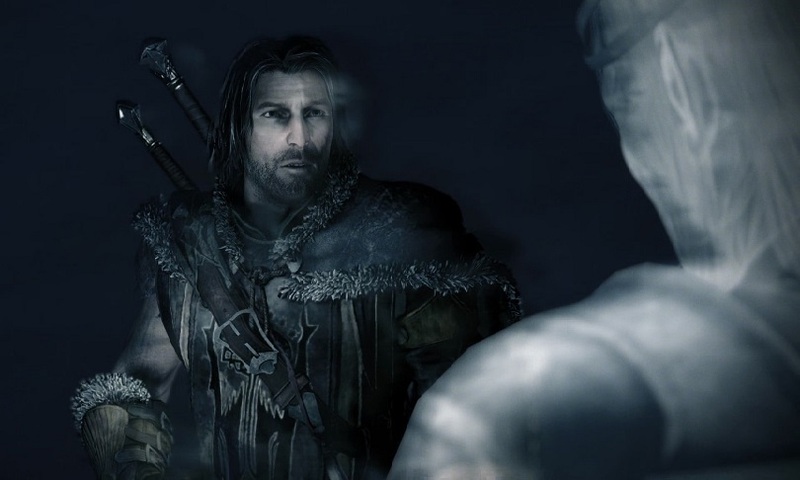 But Talion is revived by a spirit of vengeance, and is consequently given wraith powers. What unfolds after that is a pretty straightforward story, one which sits nicely in the background but never becomes standout. 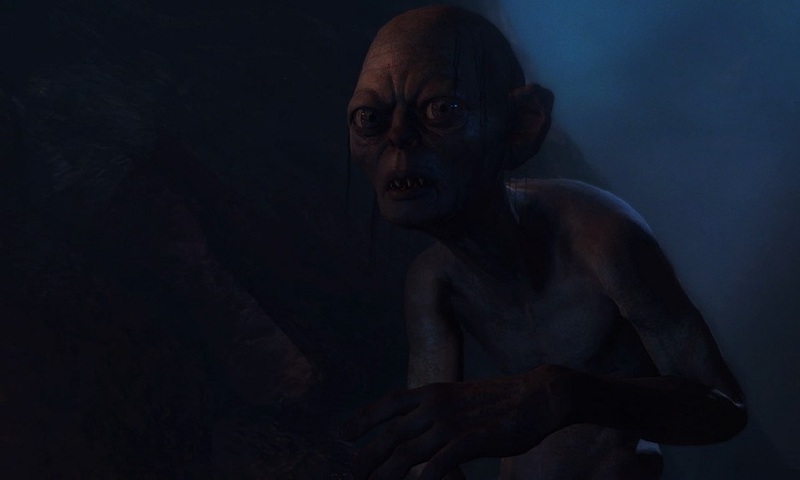 It pays a couple of tributes to the world of Tolkien, such as an appearance of Gollum, but it’s pretty light, meaning you don’t have to have read the books or watched the films to understand the story. At first glance, Shadow of Mordor may seem completely derivative. The parkour is very Assassin’s Creed, right down to the way Talion walks across wires. However, it plays like a dream, and thanks to Talion’s wraith powers, there’s a bit of flexibility, allowing you to jump off buildings without consequence. Combat, meanwhile, is very similar to Batman, with a focus on counters and combo-building with light and stun attacks. Again, though, it brings refinements. The scale is so much bigger than most games, with dozens of enemies on screen at once. There’s a great deal of challenge to the proceedings too, as Uruks prevent you from executing their comrades and attack you with a great deal of aggressiveness. You’ll die often, to say the least, but it’s always satisfying to fight. "Flowers? Sorry, I marginally prefer video games"
What defines Shadow of Mordor is the amazing Nemesis system. The Uruk army is defined with a clear hierarchy, starting with the bottom level grunts up to Captains and Warchiefs. Eventually, you are able to manipulate and control this army to your advantage. Consisting of a couple dozen of individual, unique Uruks, the army hierarchy allows you multiple approaches to dominance. Uruks have their own buffs and weaknesses, keeping you on your toes. Each member can be targeted and, should you win, a spot will free up for promotion for an underling. 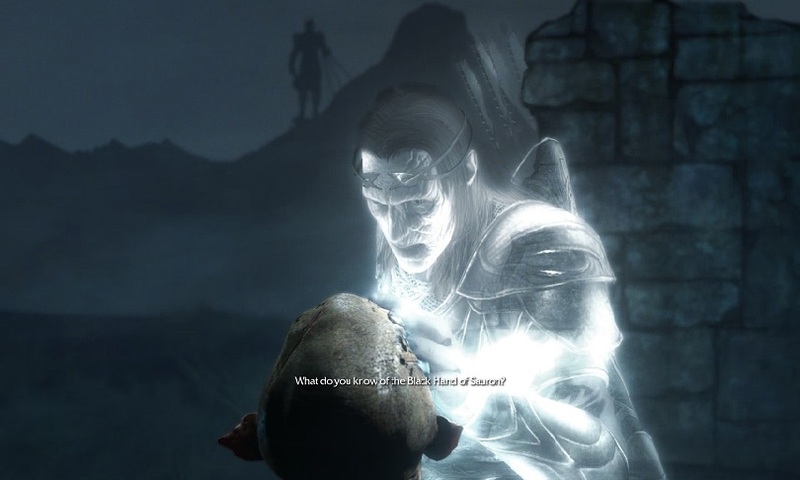 If you are killed, however, the Uruk captain gains more power and may even advance in the ranks. Captains often end up in feuds, and power struggles result in the death of captains and the promotion of others. Things get even more interesting once you reach the half point of the game. You gain the ability to brand enemies, essentially possessing them and forcing them to follow your will. From here, you can help Captains rise in the ranks, becoming the bodyguard of Warchiefs, and if you desire, you can turn these guards against the Warchief, giving you an advantage in combat. Warchief fights stand out, requiring a certain feat to lure out and entering the battlefield with bombast. They are the toughest to kill, too. Other elements, such as interrogating worms to gain information, give the Nemesis system an incredible amount of depth. There’s a myriad of ways to approach this system, and the way the game generates individual captains with weaknesses, strengths and names means there’s constant replay value. 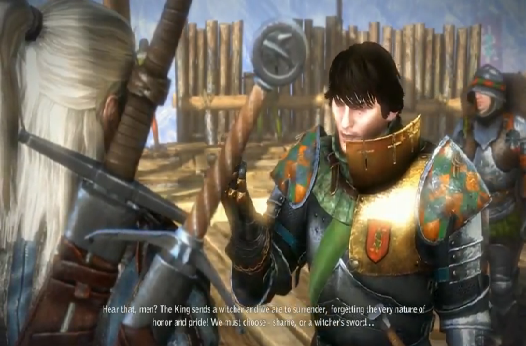 The Nemesis system’s depth shakes up the entire game. Story missions revolve around this mechanic for the most part, and present an exciting game of manipulation and control. The open world also benefits greatly from this, as there are constant side activities to compete in. Whether it’s disrupting a feast held by a captain, intervening in a power struggle or attempting to overthrow a warchief, you’ll never be short on Nemesis-related activities. There are also other ancillary tasks, such as survival and hunting challenges, Outcast missions which focus around saving captured slaves and special weapon-based challenges. It presents a really meaty experience. On top of that, there’s a myriad of ways to upgrade Talion. You earn both Experience and Power points, allowing you to level up Talion in two trees. Some of the upgrades are awesome, including counters causing enemies to light on fire and the ability to mount animals by shadow-mounting them from a distance. Talion holds three weapons – a dagger, sword and bow – and all of these can be upgraded with Runes. You earn runes from fallen Captains and Warchiefs, and depending on their Power level, they drop runes which range from Level 1 to Epic. Epic runes often hold incredible power, though extra runes require space upgrades. By the time I had reached 100%, Talion was fully upgraded and you felt like an all-powerful, awesome warrior. Mordor looks and sounds the part too. Visually, the game is detailed to the brim, runs smoothly and is expansive in size. Though condensed to two separate areas, both feature fairly large expanses and, more impressively, lots going on. Uruk squads will patrol the area, some will set up campfires, while others force slavers to work. There’s never a flat visual moment, and cut-scenes in particular look stunning. The audio is just as good too. The sweeping score feels befit of its source material, voice acting is always solid and the sound effects are wicked. 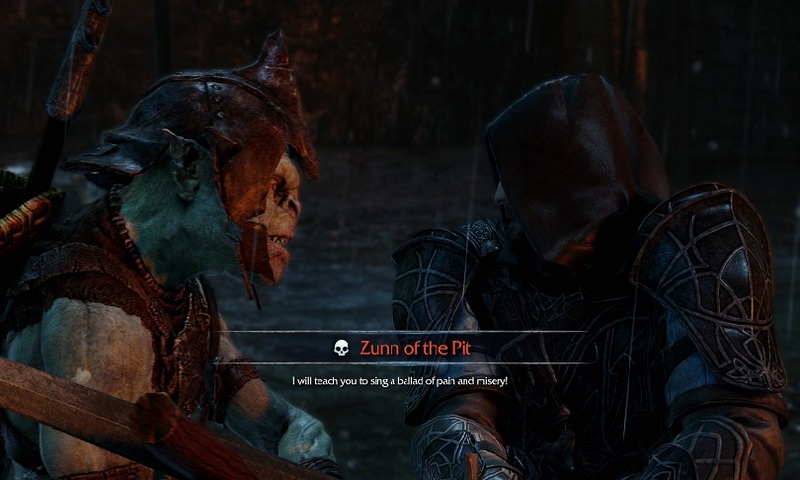 Swiping off the head of Uruks, which sounds particularly gory, never gets tiring. 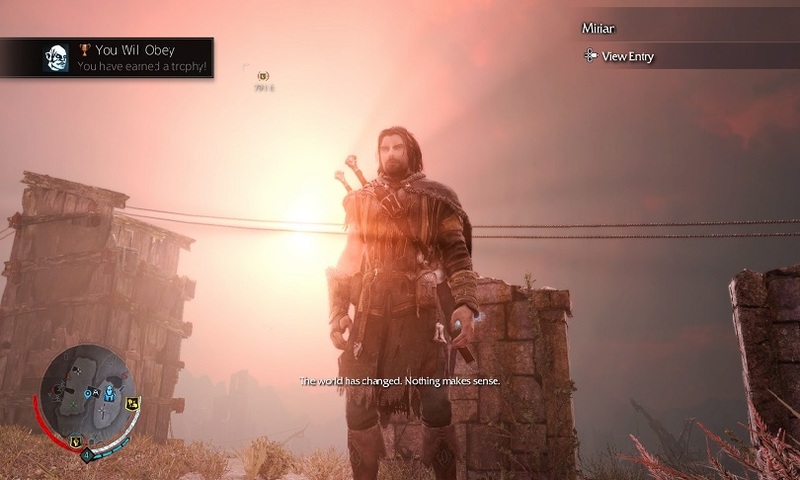 Shadow of Mordor is easily one of the best games of 2014. Though its core components are familiar, the systems are absolutely invigorated by the Nemesis system. Hopefully something we’ll see in future instalments, it adds an intense level of depth, replay value and strategic opportunities. It makes for excellent use of the new-gen technology, and when you combine it with a stunning presentation, smooth yet challenging combat and beautiful parkour, there’s just no reason you should not play Shadow of Mordor, even if you have no interest in the realm of Middle-Earth.